Need an appraisal immediately? 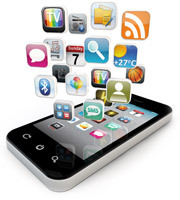 We've embraced mobile technology because we know you want services to be performed using the latest devices available. Using the latest gadgets allows us to perform jobs more efficiently and accurately than ever before. Most appraisers in Saint Charles County are still in the Stone Age, writing data on a clipboard with pencil and paper. This can cause loss of productivity, because of the time exhausted by the appraisers re-typing the report back at the office. Appraisers who are not using the latest technology, are losing time getting their appraisals to you. Being a mobile appraiser means we no longer have to worry about a clunky clipboard with tons of paper. Through an easy-to-use device, the information is uploaded straight to the office without ever having to enter in that data again, meaning a faster turnaround time for you. Ready to hire a tech-savvy appraiser today? Contact St. Charles/WestPlex Appraisal Services, LLC at 314-224-5961 now. Through the syncing process, we're able to effortlessly access data from our devices on the jobsite. New information can then be gathered, making the data on the form up-to-date. With the use of laser measurers, we are able to collect accurate measurements with our devices. As a perk, we're always ready to answer questions when you call or e-mail us. Mobile appraising makes us much more efficient, giving us with the files and data we need at all times so we can concentrate on appraising.